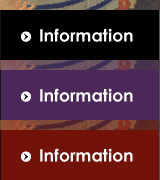 * Open hours and days are subject to change. * The Museum is NOT closed on Monday, August 15. Newly-discovered illustrations of Europe’s first Japan exhibition, organized by Siebold!! A National Museum of Japanese History recreation of Siebold’s exhibition, as well as the illustrated works! German physician and natural historian Philipp Franz Balthasar von Siebold (Feb. 17, 1796 – Oct. 18, 1866) visited Japan twice during the 19th century, teaching modern medicine to the Edo-Period Japanese, as well as gathering up a vast collection of resources related to the natural environment and everyday life in Japan, and bringing these back to Europe. 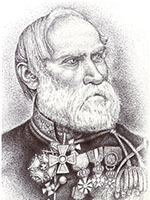 Siebold’s works on Japan include Nippon (1832–1882) and Flora Japonica (1835–1870), both published after he returned to Europe. It is well known that these works made a significant contribution to later Japanology and botany. However, what is not well known is that Siebold enthusiastically worked on a Japan-themed museum exhibit based on his own collection. 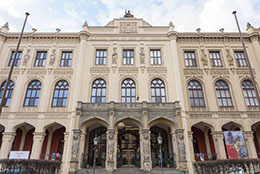 The Museum Five Continents in Munich holds around 6,000 Japan-related items extensively collected by Siebold on his second visit to Japan. As early as 1824, on his first visit to Japan, Siebold was already thinking about a Japan museum. On his return to Europe, he held Japan exhibitions in Leiden, Amsterdam, Würzburg and Munich. In Europe at the time, there was a growing interest in the peoples and cultures outside of Europe, among the nobility and commoners alike. This gave rise to modern museum exhibits and the inception of ethnology as an academic discipline. 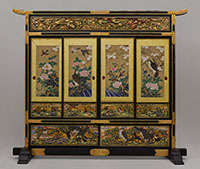 Siebold’s exhibit would have been the first Japan exhibit of its kind, ahead of the Japan displays at the World Exposition and the rising Japonisme-based Japan craze that would come later. 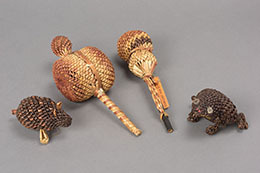 The ethnological resources Siebold brought home with him from his two visits to Japan were clearly collected for a Japan exhibit Siebold had been planning. 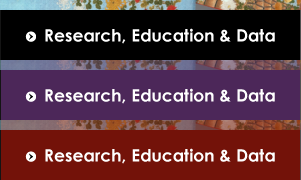 This exhibition focuses on the actual Japan exhibit Siebold produced in Europe, based on new findings from six years of comprehensive investigation of Siebold-related materials. 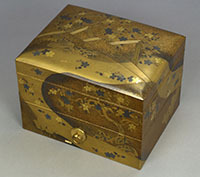 Our researchers have investigated historical materials related to the exhibitions held in each city, as well as Siebold’s own accounts, to find out more about how Siebold viewed Japanese culture and society, his reasoning behind the items he collected, and how he tried to portray “Japan as a foreign culture” in the West. We have used a list kept by Siebold’s eldest son Alexander to reconstruct Siebold’s “final Japan exhibit,” held in Munich right before his death, and have thus come very close to the image of Japan portrayed by Siebold. Siebold visited Japan in the late Edo Period, right before the Meiji Restoration, at a time when signs were beginning to show of significant imminent changes to the Japanese way of life. 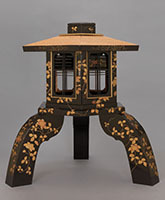 The Siebold Collection, accumulated during his first stay in Japan, from 1823 to 1828, and his second stay in Japan, from 1859 to 1862, is truly a time capsule that encapsulates the Japanese way of life in that era. 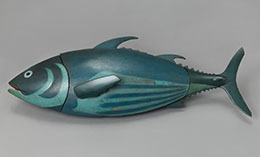 The collection is brimming with items that link to cultural origins and values that underpin the Japanese psyche but have almost been lost in modern times. 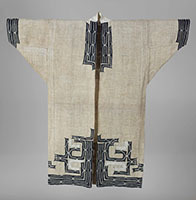 While much focus has been given to date on items in Siebold’s collection from his first visit to Japan (held in the National Museum of Ethnology in Leiden), the collection from the second visit, held in the Museum Five Continents in Munich (formerly the State Museum of Ethnology), is of very important significance in light of the fact that it was collected with the aim of substantiating or completing Siebold’s planned Japan Museum. 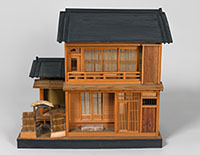 This exhibition marks the 150th anniversary of Siebold’s death, providing a panorama of the collection left in Munich, his final resting place, and a reconstruction of this valuable collection from a new perspective: Siebold’s Japan Museum.